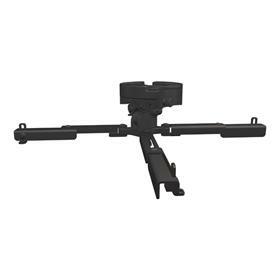 Use this category to browse adjustable projector mounts with universal mounting hole patterns, like the ever-popular Premier Mounts MagnaGuide and SpiroLock series mounts. 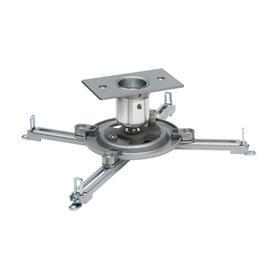 The short-throw projector mounts made by Premier Mounts feature multiple safety mechanisms, adjustable tilt and steel ceiling plates. 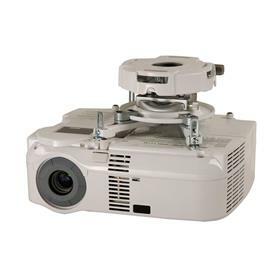 DisplayThisWay.com offers high-quality projector mounts made by industry leaders like Chief Milestone, Peerless AV, Crimson AV and Omnimount. 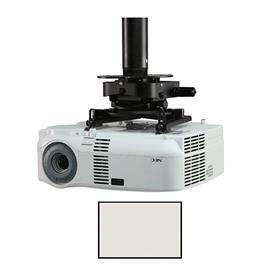 Some projector mounts may require a projector mounting adapter. 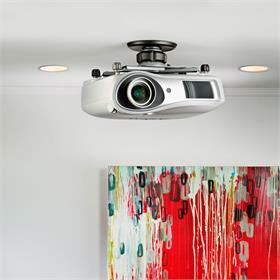 If you need help choosing the exact mount that will work with your projector please give us a call. Our certified mounting experts are happy to help. 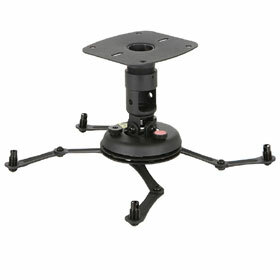 More on the OmniMount 3N1-PJT-B Universal Projector Mount below. Certified mounting experts are here to help. Call 1-800-807-1477. More information on the Crimson JR Universal Projector Mount up to 50 lbs made by Crimson AV is below. 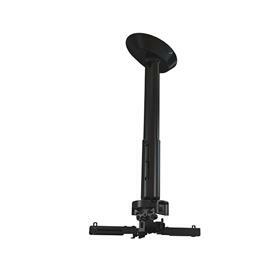 See additional information on the Peerless PJF3-UNV SmartMount Tool-Less Projector Mount below. Certified mounting experts are here to help. Call 1-800-807-1477. 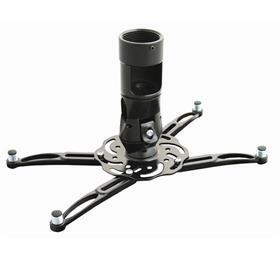 More information on the Crimson JRS Universal Projector Mount up to 50 lbs made by Crimson AV is below. 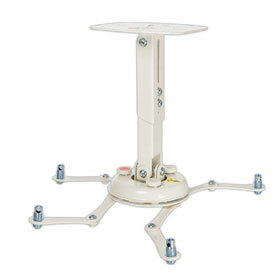 See additional information on the Peerless PRGS-UNV-S Universal Silver Projector Mount below. Certified mounting experts are here to help. Call 1-800-807-1477. 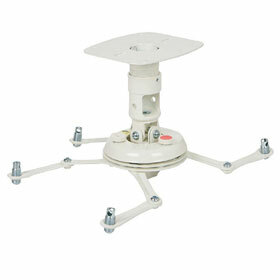 See additional information on the Peerless PRGS-UNV-W Universal White Projector Mount below. Certified mounting experts are here to help. Call 1-800-807-1477. 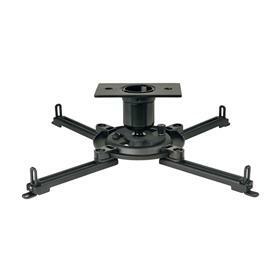 See additional information on the Peerless PRGS-UNV Universal Black Projector Mount below. Certified mounting experts are here to help. Call 1-800-807-1477. 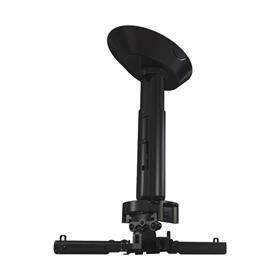 See additional information on the Peerless PJF2-UNV Vector Pro II Universal Projector Mount below. Certified mounting experts are here to help. Call 1-800-807-1477. 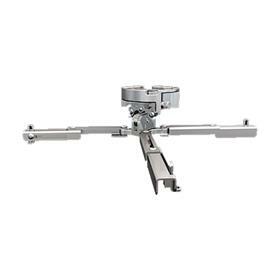 See additional information on the Peerless PJF2-UNV-S Silver Vector Pro II Universal Projector Mount below. Certified mounting experts are here to help. Call 1-800-807-1477. 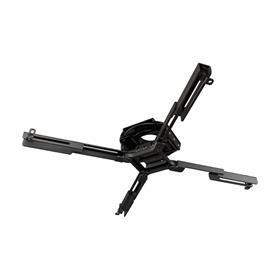 More information on the MAG-PRO MagnaGuide Universal Projector Mount with 1.5 inch NPT Coupler made by Premier Mounts is below. More information on the PDS-PLUS Polaris Universal Low-Profile Projector Mount made by Premier Mounts is below. 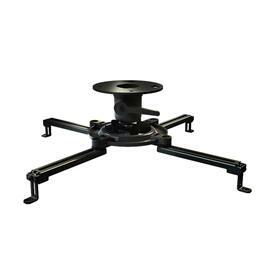 More information on the MAG-PROW MagnaGuide Universal Projector Mount with 1.5 inch NPT Coupler made by Premier Mounts is below. 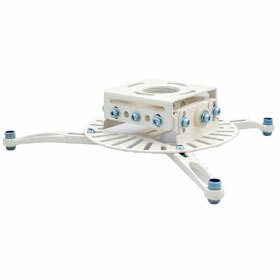 More information on the PDS-PLUSW Polaris Universal Low-Profile Projector Mount made by Premier Mounts is below. More information on the Crimson JR2 Universal Projector Mount up to 70 lbs made by Crimson AV is below. 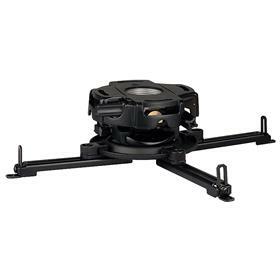 More information on the Crimson JKR-11A Adjustable Projector Mount up to 50 lbs made by Crimson AV is below. 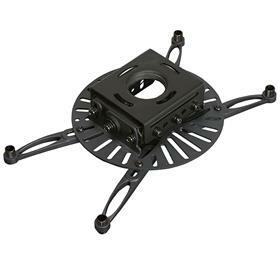 More information on the Crimson JKR-18A Adjustable Projector Mount up to 50 lbs made by Crimson AV is below. 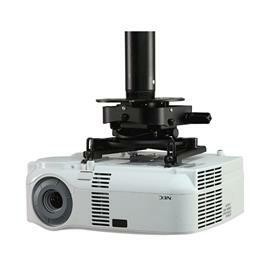 More information on the Crimson JKR-24A Adjustable Projector Mount up to 50 lbs made by Crimson AV is below. More information on the Crimson JKR2-11A Adjustable Projector Mount up to 70 lbs made by Crimson AV is below. 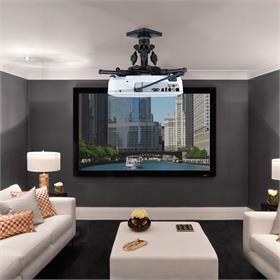 More information on the Crimson JKR2-18A Adjustable Projector Mount up to 70 lbs made by Crimson AV is below. More information on the Crimson JKR2-24A Adjustable Projector Mount up to 70 lbs made by Crimson AV is below. 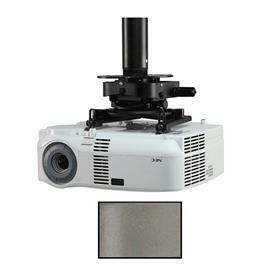 More on the OmniMount PJT40 Universal Projector Mount with Micro Dial below. Certified mounting experts are here to help. Call 1-800-807-1477. 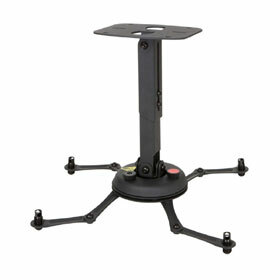 See additional information on the Peerless PRG-UNV Precision Gear Universal Projector Mount below. Certified mounting experts are here to help. Call 1-800-807-1477. 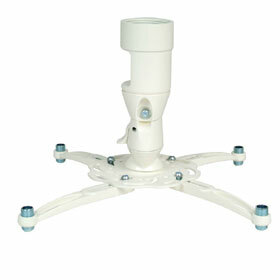 See additional information on the Peerless PRG-UNV-W White Precision Gear Projector Mount below. Certified mounting experts are here to help. Call 1-800-807-1477. 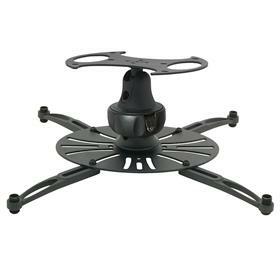 More information on the SPI SpiroLock Universal Low-Profile Projector Mount made by Premier Mounts is below. 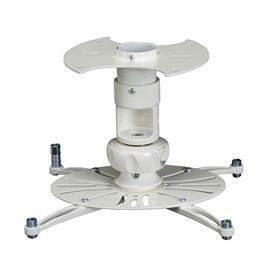 More information on the PBL-UMS Gyrolock Adjustable-Height Universal Projector Mount made by Premier Mounts is below. More information on the PBC-UMS Universal Projector Mount with Integrated Coupler made by Premier Mounts is below. More information on the PBC-UMW Universal Projector Mount with Integrated Coupler made by Premier Mounts is below. 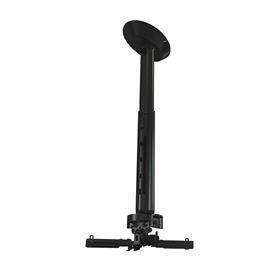 More information on the PBL-UMW Gyrolock Adjustable-Height Universal Projector Mount made by Premier Mounts is below. More information on the SPI-PRO SpiroLock Universal Projector Mount with 1.5 inch NPT Coupler made by Premier Mounts is below. 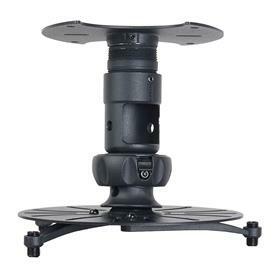 More information on the SPI-PROW SpiroLock Universal Projector Mount with 1.5 inch NPT Coupler made by Premier Mounts is below.